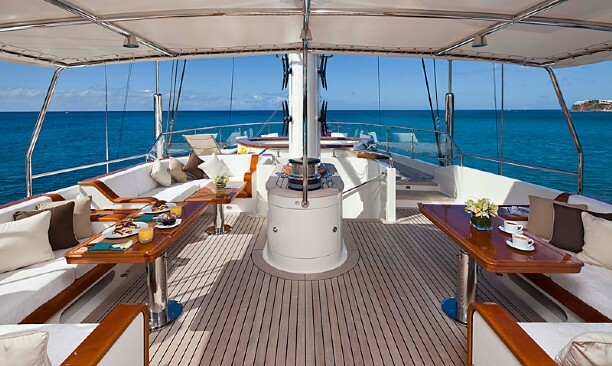 I was afforded a rare treat this year at the Fort Lauderdale Boat Show. 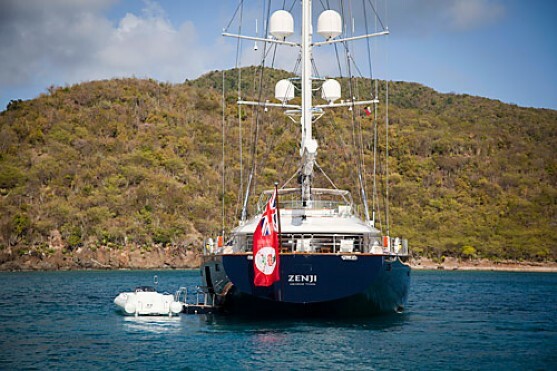 I managed to get aboard “Zenji”, the Perini Navi 56m cruiser/racer, which is nothing less than spectacular. Superlatives get thrown around very casually today to the point where they lose their meaning. But I have to say that “Zenji”; is truly deserving of the whole list. So please forgive me while I gush. 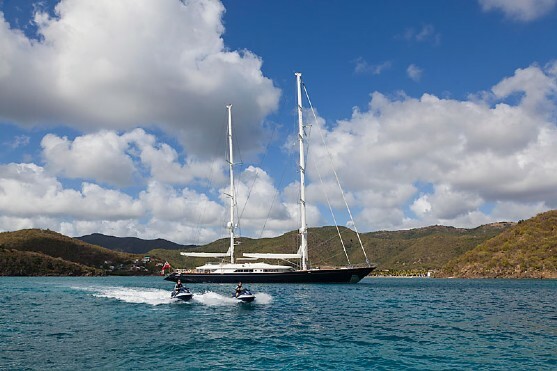 See in an in-depth review of the Perini Navi 56m Series with images, video and specifications. 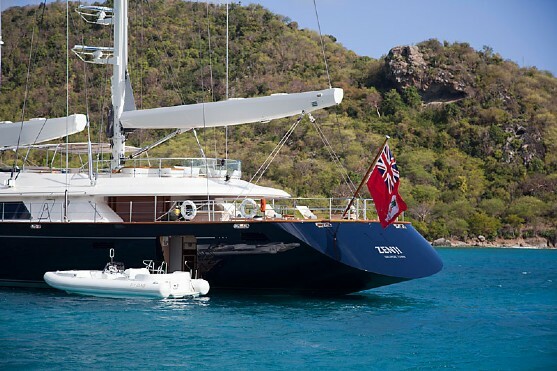 “Zenji’s” hull design was done by Ron Holland and is one of a new breed of performance sailing yachts from Perini Navi. 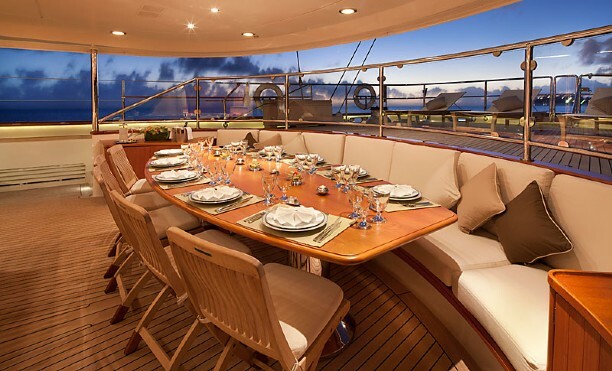 She is built of aluminum for weight savings and is incredibly well engineered. 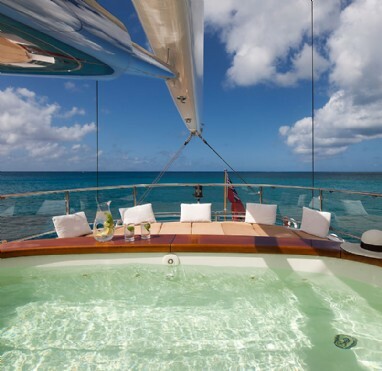 In addition to an impressive sail plan and all the latest toys which you might expect, extreme care was given to making “Zenji” very quiet. 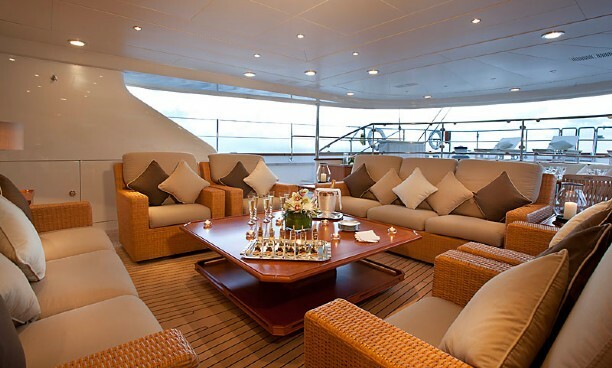 All soles and non-structural bulkheads are floating in order to reduce vibration and structural born noise. 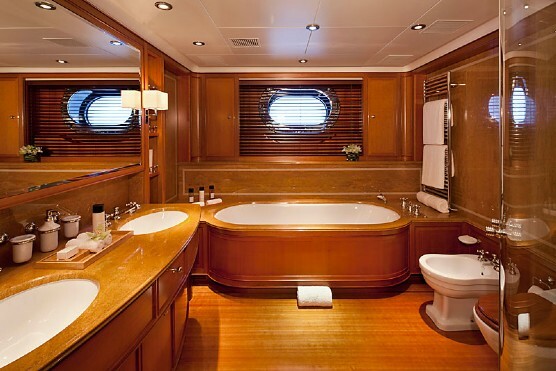 She can accommodate 12-14 owners and guests in 6 staterooms and 11 crew in her 6 crew cabins. 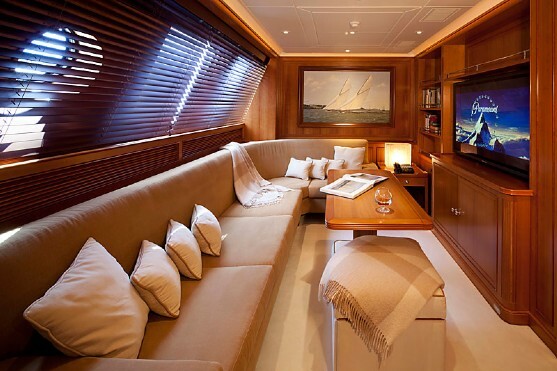 She has a variety of wonderfully spacious living areas on deck and a quite elegant, understated interior, where form always follows function. 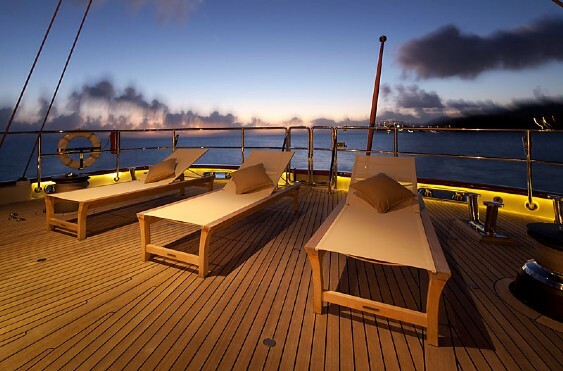 Service areas and crew flow are well planned and efficient. 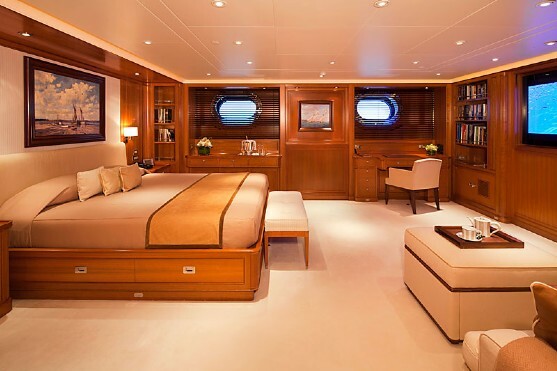 Easy to see why she was the winner of the 2005 Showboats award for best interior. “Zenji” had her 5 year ABS survey in 2009. At that time her main engines where removed and completely rebuilt. 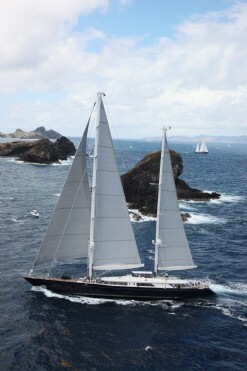 The entire vessel was painted stem to stern including spars, superstructure and bilges. 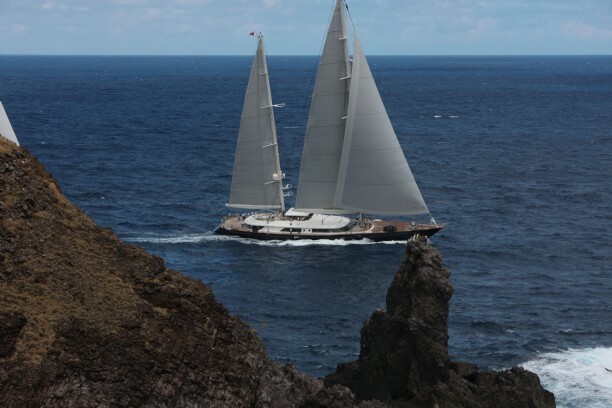 A new suit of Doyle Stratis sails was built, the Nav/Com and A/V systems were upgraded and much of the standing rigging was upgraded to PBO. 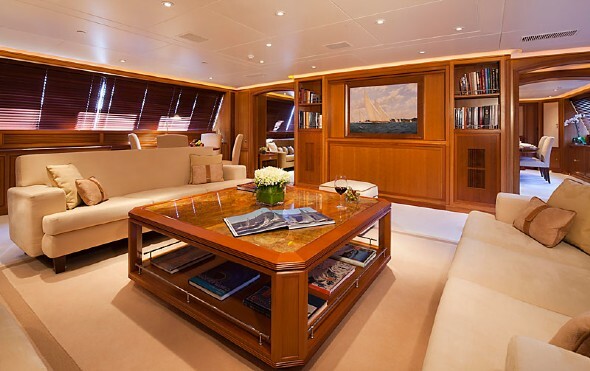 It would be easy to go on and on as the attention to detail of this vessel is incredible. She is an exceedingly well thought-out and executed design, which is actually “better than new”. And yes; that statement is used very indiscriminately as well, but in “Zenji’s” case, it is absolutely true. If you are seriously interested in a vessel of this magnitude you should not miss the opportunity to see her while she is in the area. Give me a call, I’m ready at anytime!